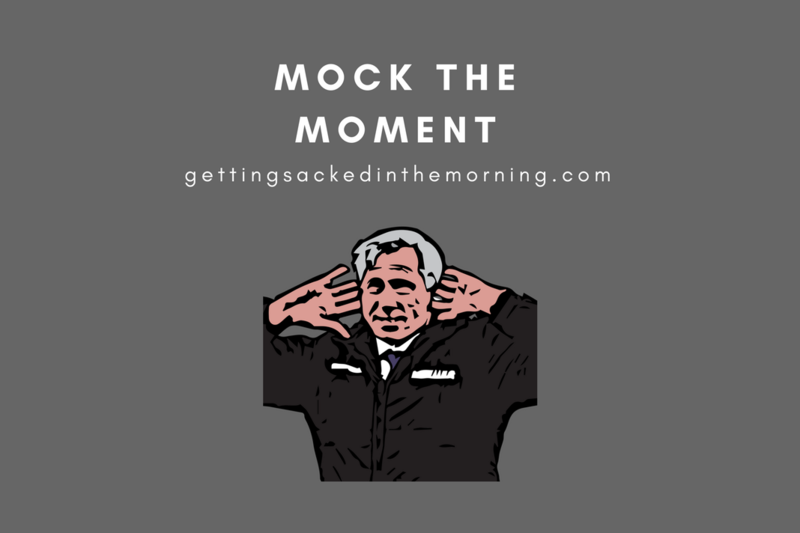 Funny Football News: Has Klopp found the missing piece to the jigsaw? Do you know one of the Christmas traditions in our household? A good old-fashioned jigsaw puzzle after Christmas lunch. But not a new puzzle, oh no. An old puzzle. Maybe a puzzle bought from a charity shop. Maybe a puzzle that has been passed down through the generations. Never, ever a new puzzle still freshly wrapped. And you know what else is a Christmas tradition? Getting to the end of the sodding puzzle and realising that some of the pieces are missing. That is why I am quite jealous of Jurgen Klopp right now if I am to believe what Liverpool defender Dejan Lovren is saying. I know, that could well be my first mistake in today’s column; listening to a man who declared himself the best defender in the world at the World Cup when, frankly, he’s not even the best defender at his club. The Croatian has declared that King Kloppo has ‘found the pieces to solve the puzzle’ which is merely an ambition in this house. Of course, Lovren is passing comment on the fact that Liverpool now lead Man City by six whole points at the top of the Premier League and not the finishing touches of a nice wintery scene outside a country pub. Whilst I commend the positive attitude of the Liverpool players, believing they can win the title – and why shouldn’t they? – I really would suggest that the best course of action is to keep those thoughts inside your head until you’ve lifted the trophy. It would be different, of course, if you were Liverpool of the early 80s where titles arrived like presents under the tree or Manchester United under Ferguson where they may as well just have given you the trophy at Christmas. 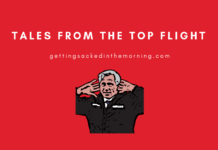 Liverpool have not won the top flight since 1990, so maybe it would be better just to keep quiet, not say anything that could be used as motivation by the chasing pack and focus on not bloody well bottling it again? Peppy G is a worried man, understandably. He has spoken of the need of a ‘new dynamic’ in the team having lost two games on the bounce. What Pep really means, of course, is a couple of new signings so expect him to go back on his word about nobody joining in January as he searches the planet for someone capable of being the new Fernandinho and anyone that can do a better job than Fabian Delph at left back. Paul Pogba is said to be ‘improving’ but ‘can do more’ according to his midfield minder, Nemanja Matic. Much has been made, as expected, of Pogba suddenly remembering how to play football since the departure of the man who made him ‘a better player and person’. But Matic wants more, presumably so he doesn’t have to keep doing the work of one-and-a-half players in the middle of the park. Arsenal manager is facing a charge of ‘improper conduct’ following his side’s draw with Brighton. No, the improper conduct was not continuing to replace attacking players with defensive midfielders but kicking a bottle in frustration which hit a Brighton fan. Don’t let the fact that Emery immediately apologised and shook hands with the fan and the fact that said fan seemed to accept it graciously. Oh, no. Throw the book at him FA because, after all, you need to be seen to be tackling the big issues of the day, right? Southampton’s revival seems to have come to an abrupt halt, losing 2-1 at home to West Ham United. That Felipe Anderson, he is fast becoming West Ham’s new Dimitri Payet. By which, of course, I mean he’ll be really good this season before buggering off to a bigger club having gone on strike to force the move through. Cenk Tosun has been assured he still has a future at Everton by Marco Silva. That future is sitting on the bench watching either Dominic Calvert-Lewin or Richarlison play up front. Things are that bad for Mesut Ozil that he looks like he is about to meet the same fate as a young English player at Chelsea. The dreaded loan is about to come his way and Ozil might well be off to Italy and Inter. That’s not like Inter to throw stupid money at a bad situation and make it worse, is it? There’s also another surprise name being linked to Serie A and it’s not Aaron Ramsey or Cesc Fabregas for once. Roma are having a more than average season and have decided the only way to improve things is to sort out a better situation in the attacking left back berth. As a result, their gaze has landed upon Crystal Palace’s Patrick van Aarnholt. Obviously. £25m they reckon. Fulham are being investigated having paid Nice around £20m for Maxime Le Marchand and Jean Michael Seri in the summer. There’s talk of financial fuckwittery, though if I was Fulham I’d be going back to Nice and double checking that they did send over the Jean Michael Seri that was on the verge of a move to Barcelona because nobody is convinced it is the same player. The latest round of ‘they love me, they love me not’ for Jose Mourinho and Real Madrid says that Madrid are now NOT interested in taking back their former lover. All that can really mean is that Florentino Perez’s eye has been caught by a much younger, more attractive potential target and he is now beginning the process of wooing them. Watch out United, you have competition for the Poch after all.